I never thought I’d have afternoon tea by the beach. In the Caribbean. In Barbados. 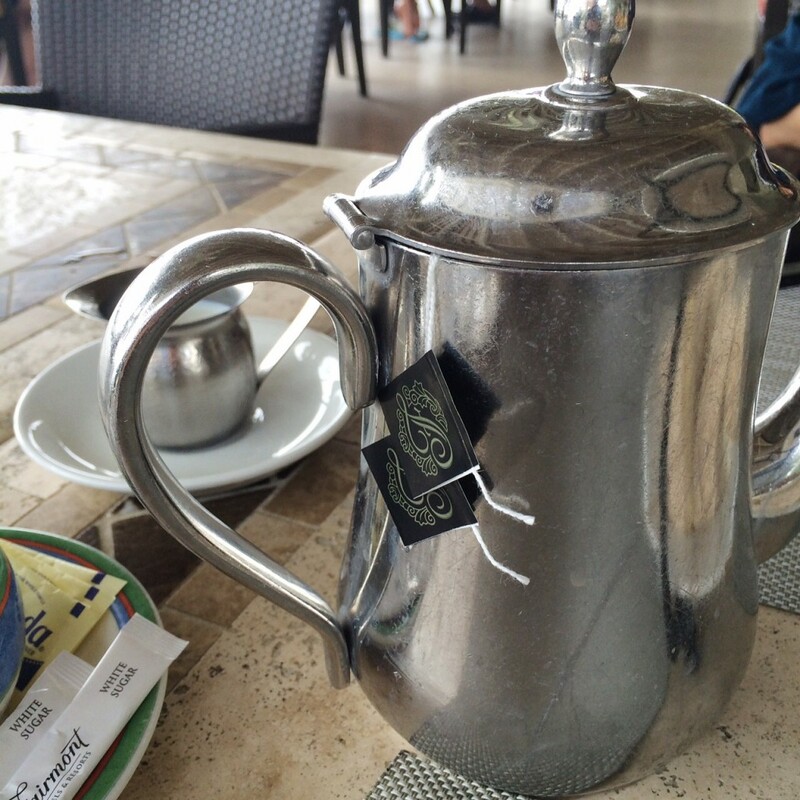 But afternoon tea is actually a common thing in Barbados thanks to the colonization by the British. That’s why the country is known as “England in the tropics”. 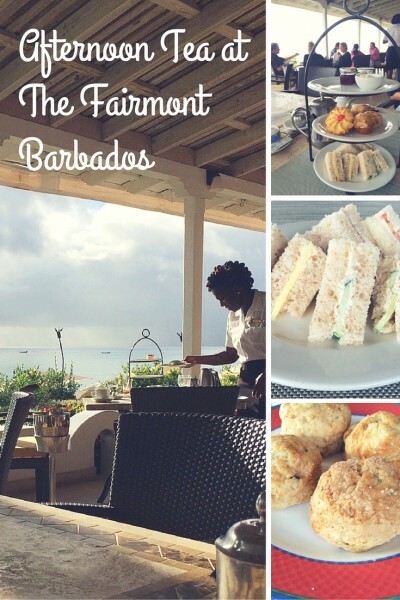 Barbados’ history of being a British colony does have positive influences and one of them is afternoon tea which you can enjoy at the Fairmont Royal Pavilion. The Fairmont Royal Pavilion is located on the west coast of Barbados known as the Platinum Coast. 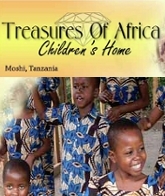 It’s about a 45 minute drive north from the airport in the capital city, Bridgetown. 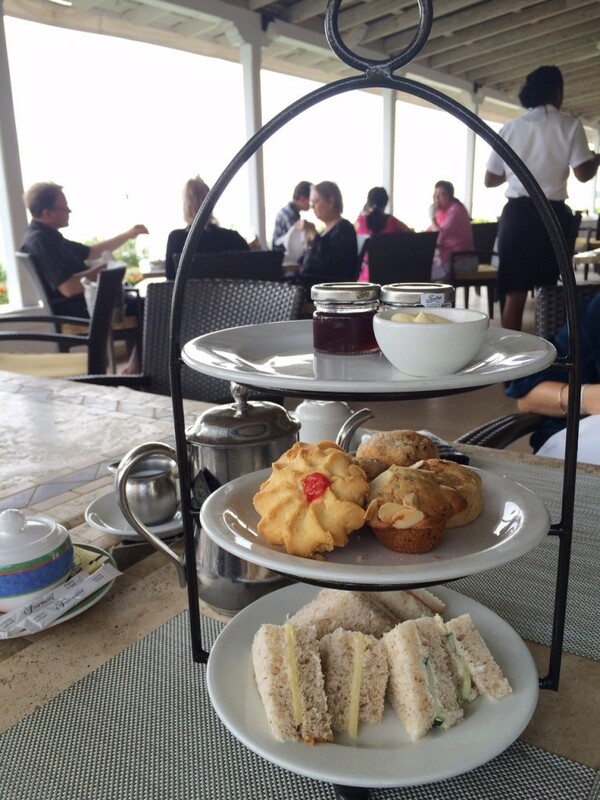 Afternoon tea is served at The Fairmont Royal Pavilion’s Taboras Restaurant. It’s an outdoor restaurant but with a much needed roof/shelter from the sun or in our case, the rain! There’s about six tables lined up where you can see the beach, tables around by the bar, and on the other side with couches around the table close to the hotel’s pool. Try to get a seat by the beach! Breakfast tea, earl grey, darjeeling, herbal teas… The Fairmont Royal Pavilion has them all. A pot was brought for the table to share since we all wanted earl grey. And at first I got a little worried that they used tea bags instead of tea leaves. But it’s no Lipton tea. It’s a Fairmont branded tea. 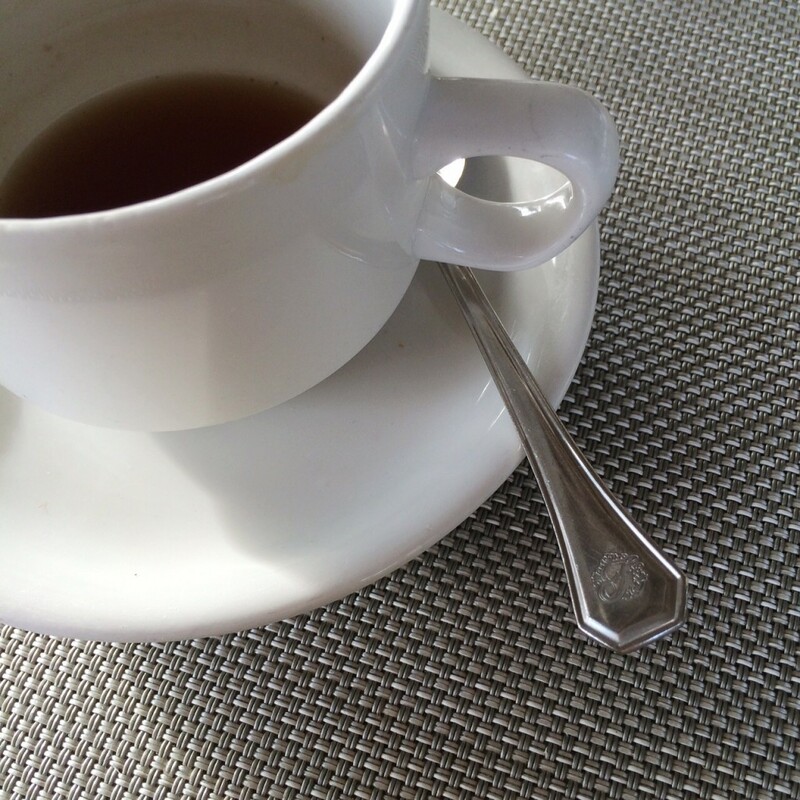 The earl grey was good but I really enjoyed the Vanilla Orchid tea which I had in the hotel room. You can purchase the same tea bags or a loose leaf version online! And it’s not exactly Lipton price either. Afternoon tea at the Fairmont Royal Pavilion is complimentary so there’s no menu though I was told they occasionally change the items. Here’s what you can expect. 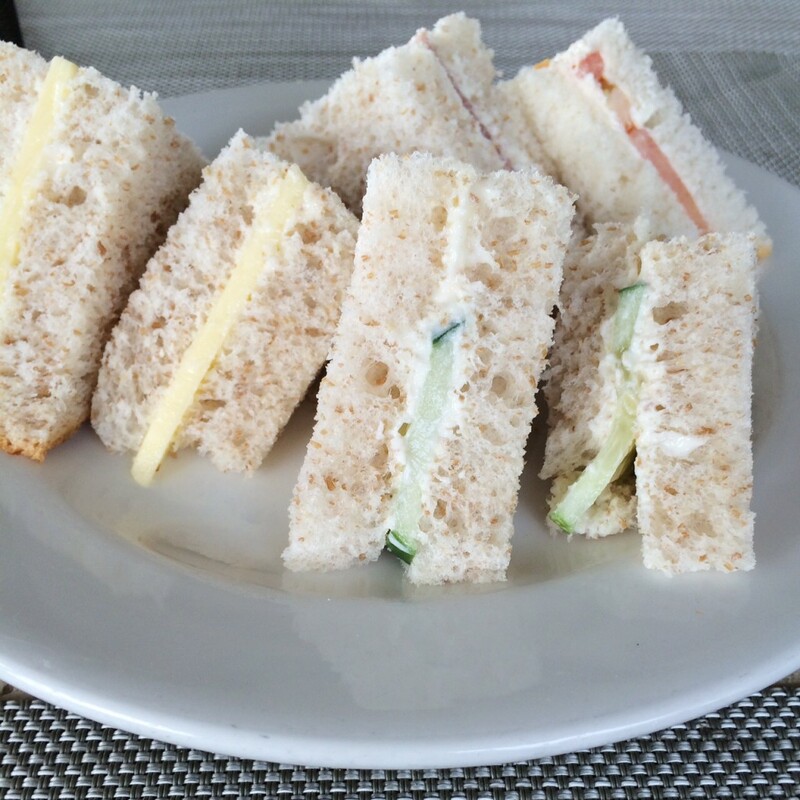 Sandwiches are made with whole wheat bread, mayonnaise and one sandwich with either cheese, cucumber or tomato. 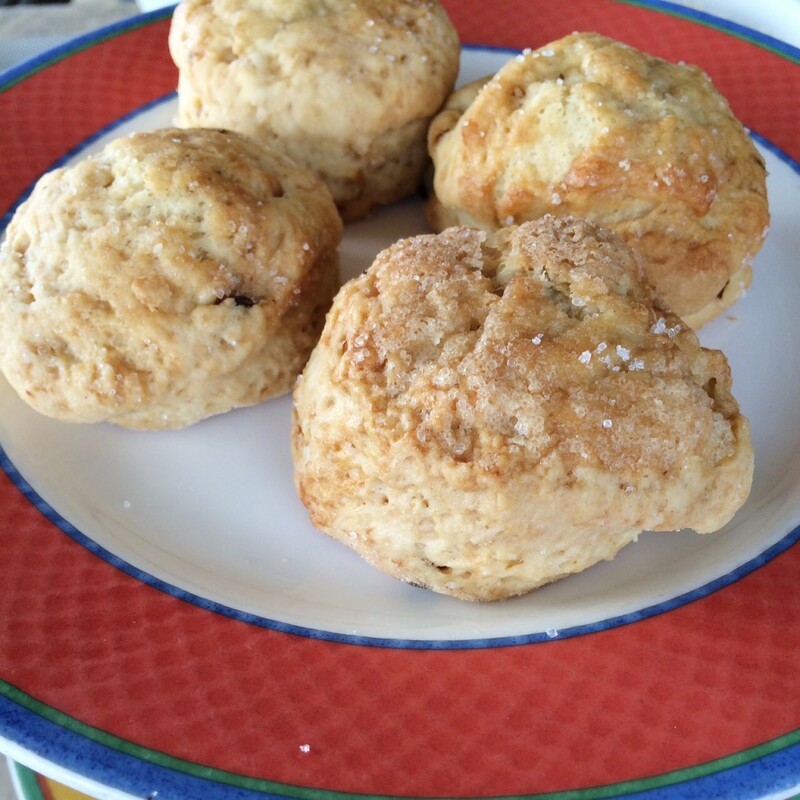 Scones are freshly baked and they were warm! 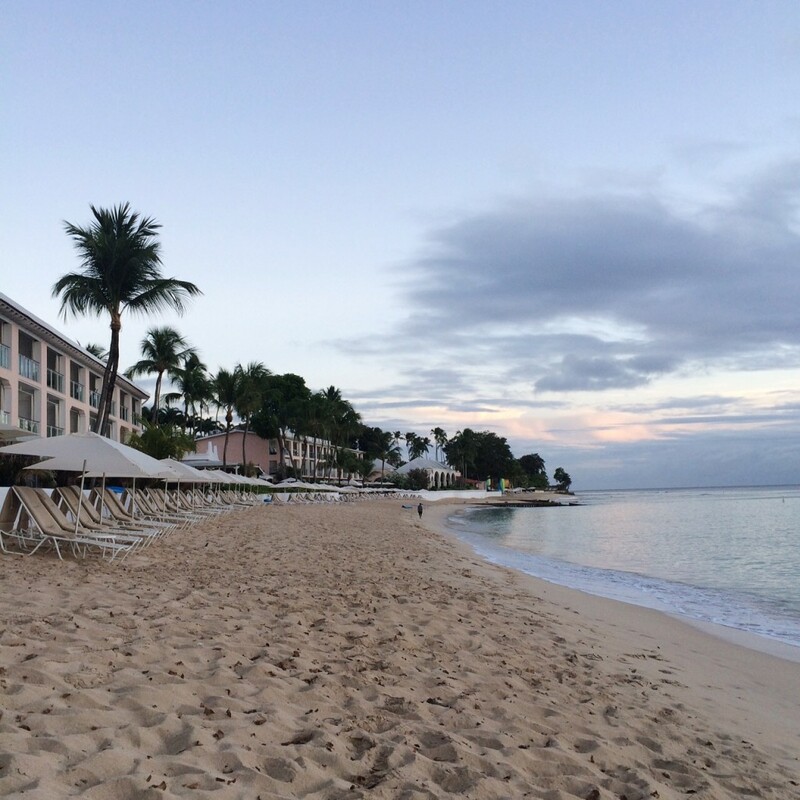 I thought it was just because Barbados is warm… but no, they really do make them warm! There’s even clotted cream and the hotel type mini jar of strawberry jam. 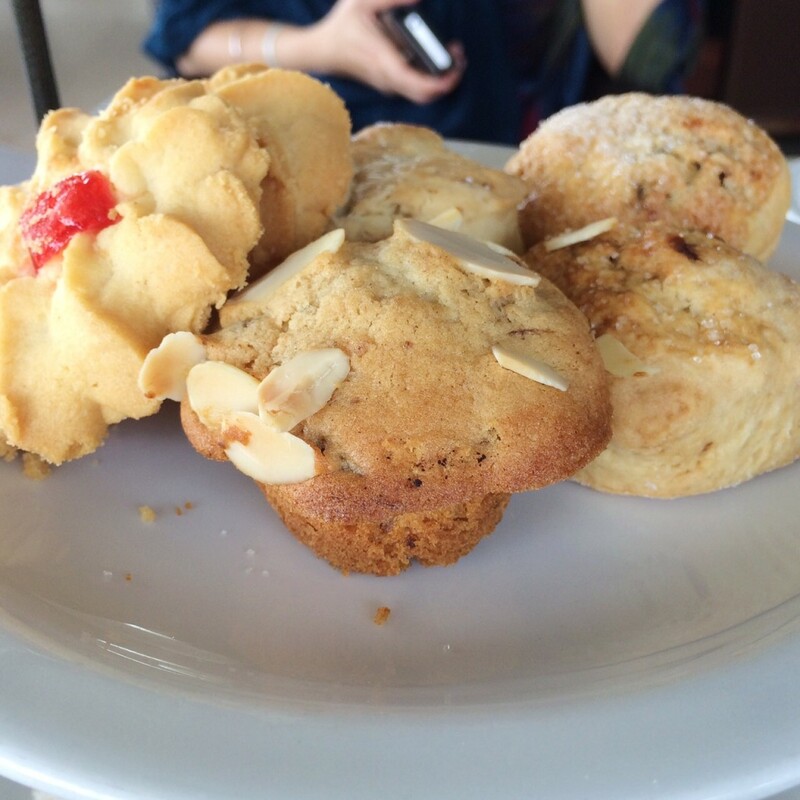 The scones were put on the same plate as a mini muffin with almonds and a sort of store bought shortbread cookie. 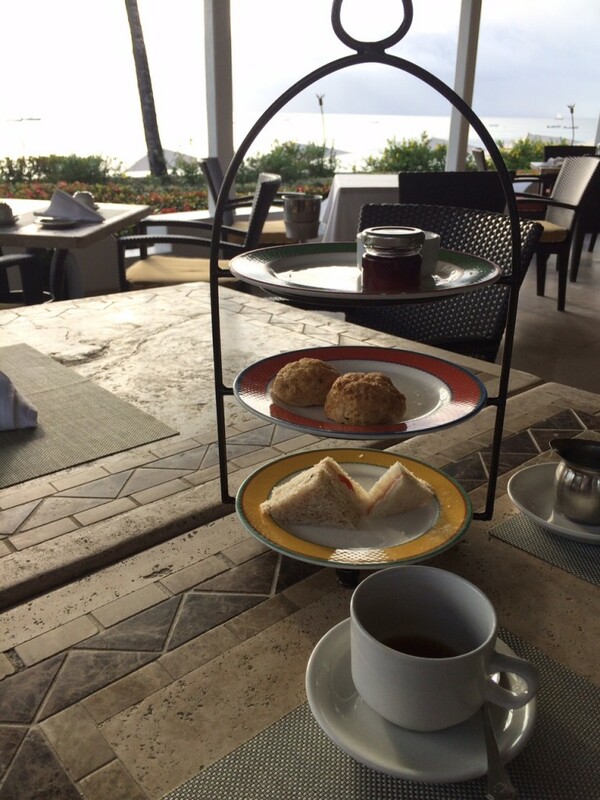 Barbados was a British colony so you will find a very classic three tiered afternoon tea tray- savory on the bottom, scones in the middle and sweets on top! Staff are really nice and I’ve heard some say they are like family. They don’t seem stressed, are happy (I mean they work right by the beach 🙂 ) and many have worked at the same hotel for over 20 years which probably means they like their job. And translates to their service. And p.s. the official language of Barbados is English. Yes. And it’s amazing. I thought being on a somewhat secluded island would mean slow internet but that’s not the case. The entire hotel even on the beach is covered with WiFi. And fast WiFi. 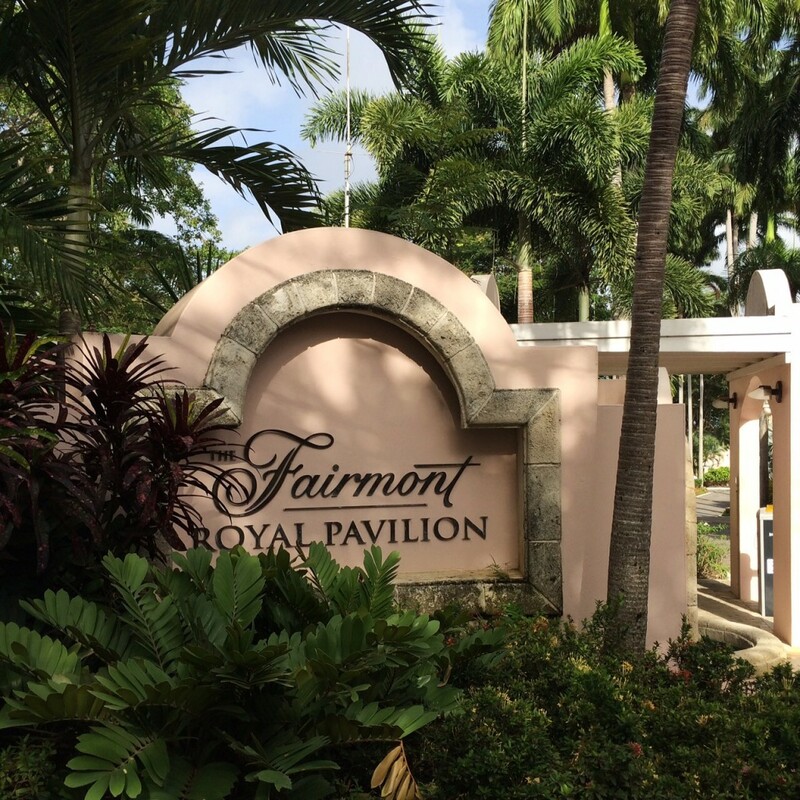 The Fairmont Royal Pavilion is not active on Facebook or Twitter. However, the Fairmont’s main account is. Follow them on Twitter. 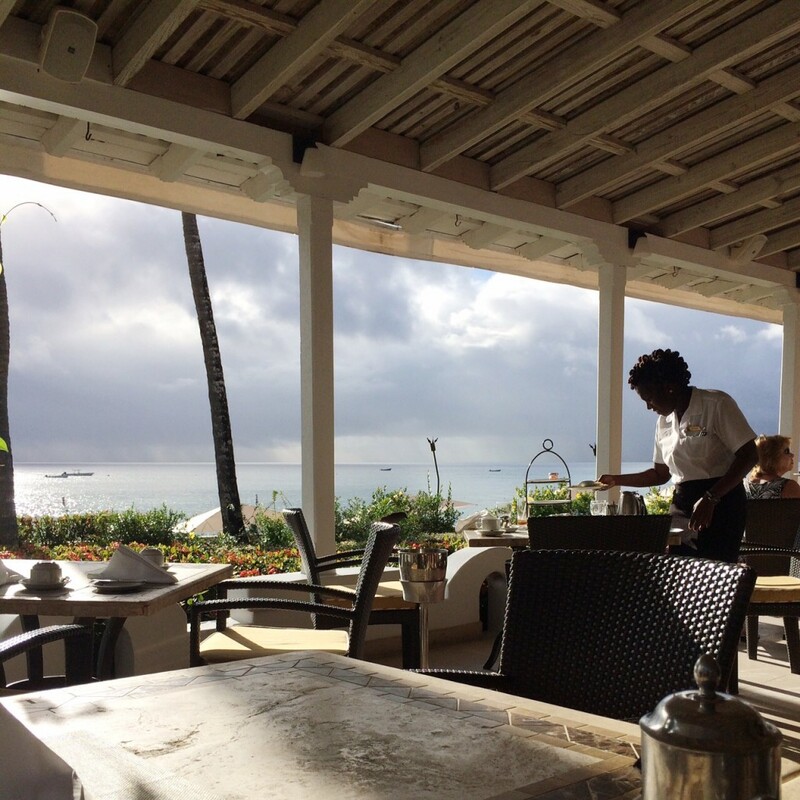 You have to remind yourself that one, afternoon tea is complimentary and two, you’re in Barbados.